Communication, collaboration and creative thinking — these are the skills students cultivate by engaging with the fine arts. We at Fairfield Prep encourage our students to express their creativity, whether it's in a painting class or on the stage. In keeping with our Jesuit mission of educating the whole person, we foster a lifelong love of learning through a lifelong love of the arts. Prep students have a variety of ensembles to participate in at Prep — from orchestra to jazz band. Prep students interested in the stage are welcome to join the school's theatre group: The Prep Players. 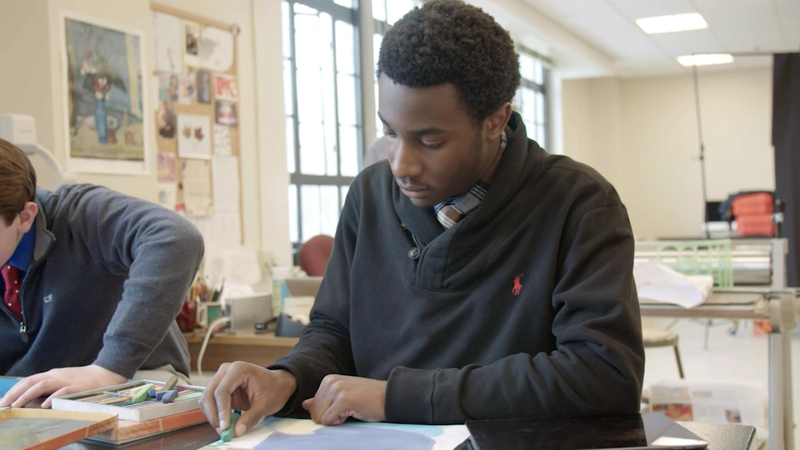 Students at Prep follow their passion in the area of fine arts.